This thing is awesome and it's going to look AMAZING in a display box on my wall! 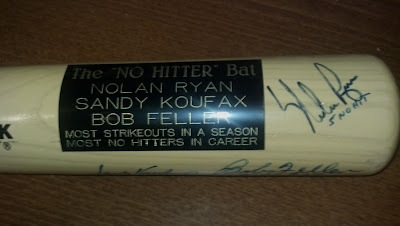 One obvious point here, this bat was signed some time between September 26, 1981 and June 11, 1990, as Nolan's inscription clearly states that he has "5 No Hit". Anyways, this is amazing. I wish it had come with some type of COA, but I plan on taking this to the next TriStar show and having it authenticated on-site. Wow! 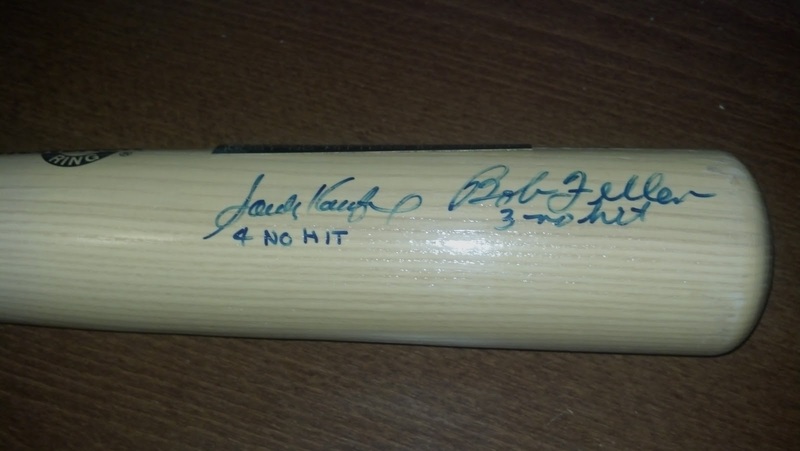 That's family heirloom material! haha, fantastic addition sir! and yes, I am quite jealous of the Sandy sig. everyone should own one. Boom! That is a centerpiece item. Holy Cow!! That's very very sweet. Congrats! i love they noted it with 3,4,5 no-hits. awesomeness! Wow, that is one hell of a bat! Congrats!